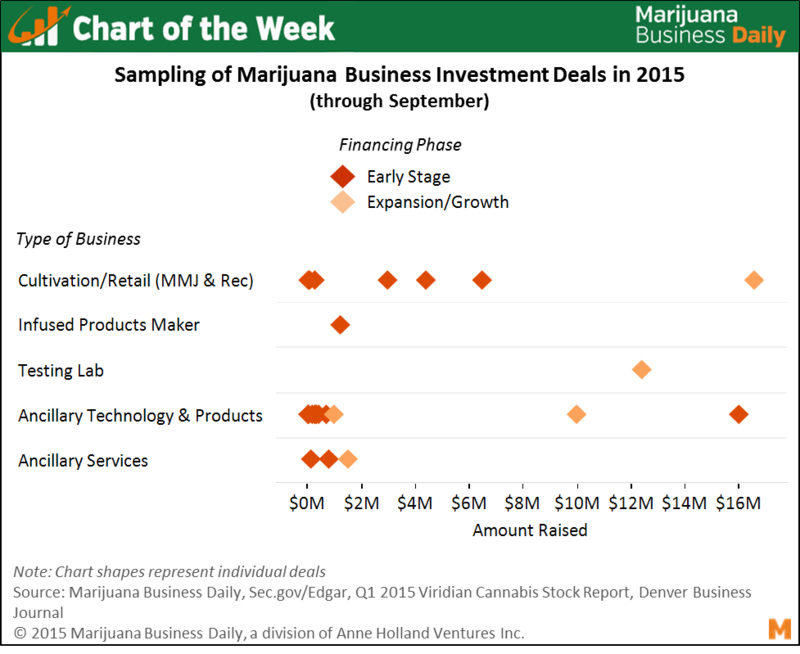 The Marijuana Business Daily has released its chart of the week, mapping out investment trends in the cannabis industry. According to research and industry analyst Becky Olson, the numbers indicate a shift in investor behaviour. There was a tendency for investors to avoid companies that actually touch the plant in favor of "safer," ancillary goods and services. But now, that's not the case. Writes Olson, "with changes occurring on all fronts from the number and type of investors involved, the amount of money being funded and the stages at which it's being obtained, there's a lot of capital moving around. This gives cannabis entrepreneurs and investors alike ample reason to be optimistic about entry or growth opportunities in the country's quickest growing industry."